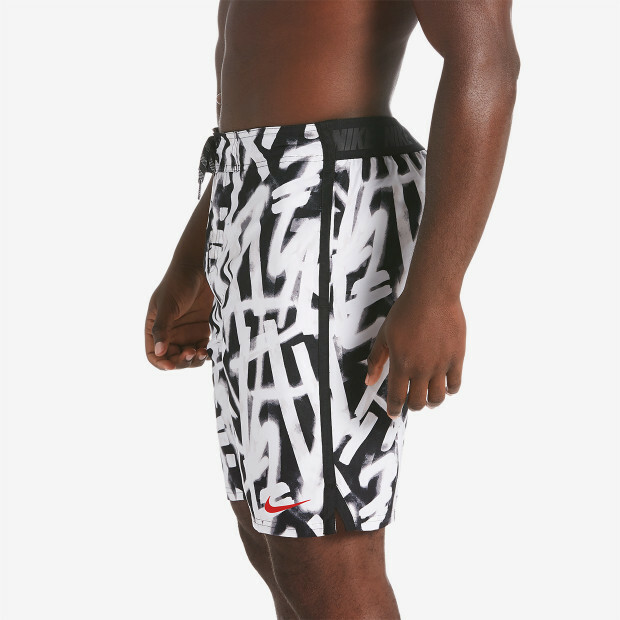 Nike Swim Men's Glow Diverge 9" E-Board Short updates the board short design with an eye-catching print and performance details. Quick-drying water repellent fabric, a supportive mesh brief and mesh pockets that shed water help the long swim trunks dry faster. 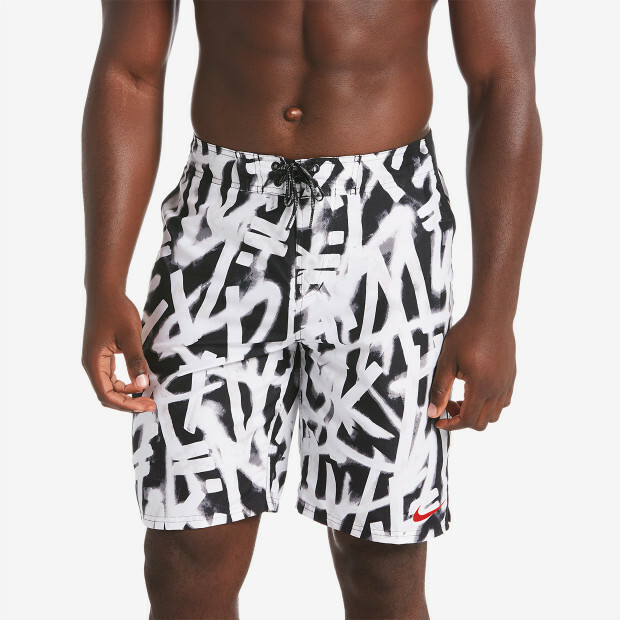 A dynamic waistband with an elastic back provides a flexible fit.